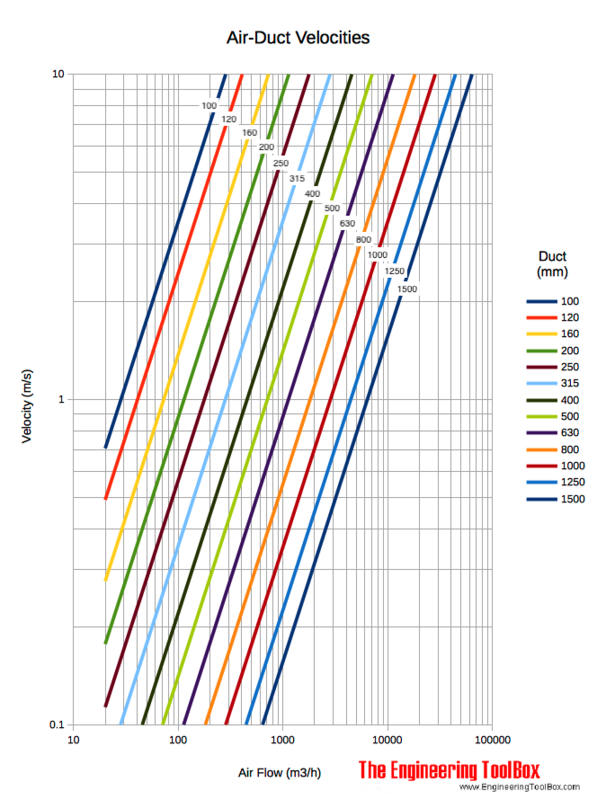 Download and print Air Ducts Velocity Diagram with metric and Imperial units! The velocity in a 1000 mm duct with airflow 3000 m3/h is approximately 1.1 m/s according the diagram above. Engineering ToolBox, (2006). Air Ducts - Velocity Diagram. [online] Available at: https://www.engineeringtoolbox.com/air-duct-velocity-diagram-d_669.html [Accessed Day Mo. Year].